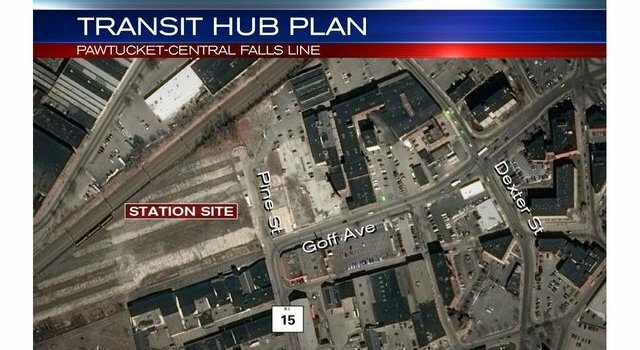 PAWTUCKET, R.I. (WPRI) — With the heft of shovels, Rhode Island leaders launched a transit center project Friday afternoon kicking around Pawtucket and Central Falls for years: a new commuter rail station that will incorporate the state’s public bus service. The hub project is part of the RhodeWorks bridges and transportation infrastructure improvement initiative. 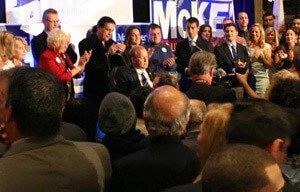 Joining Gov. Gina Raimondo for the groundbreaking were the state’s congressional delegation; Sen. Jack Reed, Sen. Sheldon Whitehouse, Rep. Jim Langevin and Rep. David Cicilline all played roles in securing funding for the project. On Pine Street at Goff Avenue, the new transit center will be situated in a wedge-shaped lot next to a neighborhood of industrial mill buildings – several redeveloped, or being redeveloped, into loft apartments and more – all part of the Conant Thread District straddling the two cities, which itself has lofty goals for development. When the transit center’s commuter rail connection is finished, it’ll allow riders to connect to Providence, T.F. Green Airport’s InterLink, and Wickford Junction stations on the MBTA’s intercity rail system, as well as Boston and South Attleboro, and all the Massachusetts cities in between. It’ll take over from Pawtucket’s current bus interchange on Roosevelt Avenue. The center will include an overpass over the train tracks, elevators, ramps and stairs. Early estimates figure 520 people will board transit at the hub each day. The price tag for the project is $47 million, funded by federal grants known as TIGER (Transportation Investment Generating Economic Recovery – now known as BUILD) grants, funding from the Rhode Island Department of Transportation (RIDOT) and the Rhode Island Public Transit Authority (RIPTA), as well as grants from the state and city. The actual construction work starts immediately, according to RIDOT spokesperson Charles St. Martin, and the bulk of it will take about three years all told. The bus aspects are set to be completed by the end of 2020; train, late 2021, but train service won’t be expected to start until summer 2022 due to safety testing. Most of the work will be done during overnight hours, when Amtrak trains won’t be running on the rails that workers will have to build over and alongside.